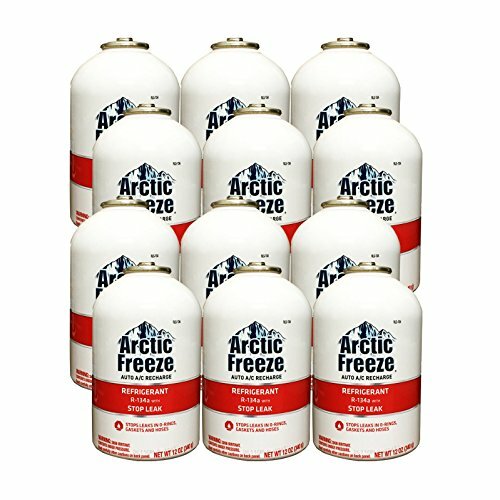 Arctic Freeze (RLS-134T) Refrigerant R-134a with Stop Leak. 11 oz of R-134a Refrigerant and 1 oz of Stop Leak additives. Seals common leaks in O-rings, gaskets and hoses. Not for use in Hybrid/Electric vehicles with non-belt-driven compressors. R-134a Refrigerant with Stop Leak.